Milk is an important staple in any diet. We are taught from a young age that drinking milk we will grow strong bones and teeth. However, regular milk consumption can actually promote periodontal health. In fact, a study published in the Journal of Periodontology has demonstrated that people who regularly drink milk had lower instances of gum disease. This Japanese study examined nearly 950 participants from the ages of 40 to 79. Participants were evaluated based on their periodontal pocket depth and on clinical attachment loss. It was found that individuals who consumed at least 55 grams of lactic acid products or more had much better gum health. Unfortunately, when it comes to gum health, not all dairy products are created equally. Therefore, you shouldn't think that you should binge on ice cream in order to improve your gum health. Most likely, products with higher lactic acid, such as buttermilk and yogurt, will offer the best benefits when it comes to your oral health. Consuming other dairy products might benefit your health in other ways, but it probably won't lead to any major gum health advantages. More research is needed to determine the exact effect of milk and other dairy and lactic acid food items on gum disease. Fortunately, there are other ways that you can work to keep your gums healthy. 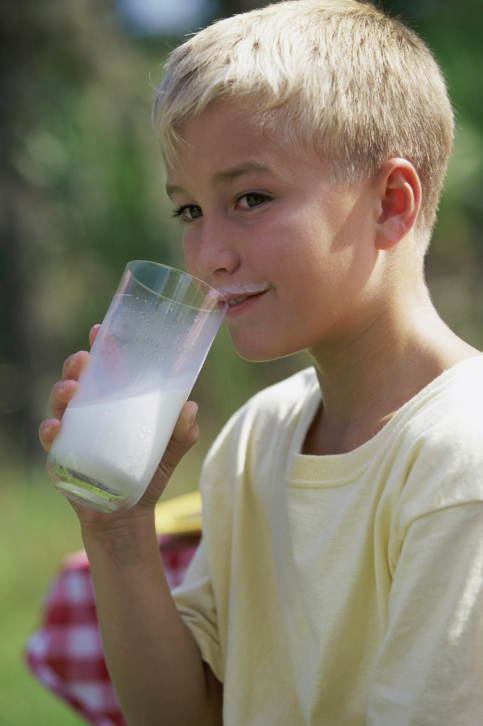 In addition to drinking enough milk, make sure that you are brushing at least twice a day and flossing once per day. You should also visit with your dentist every six months, even if you aren't experiencing any of the signs of gum disease. These regular dental evaluations will allow your dentist to detect any problems with your gums before they become major issues. If you feel that you are experiencing the symptoms of gum disease, or if it is simply time for you to have a checkup, contact our office to set up an appointment.